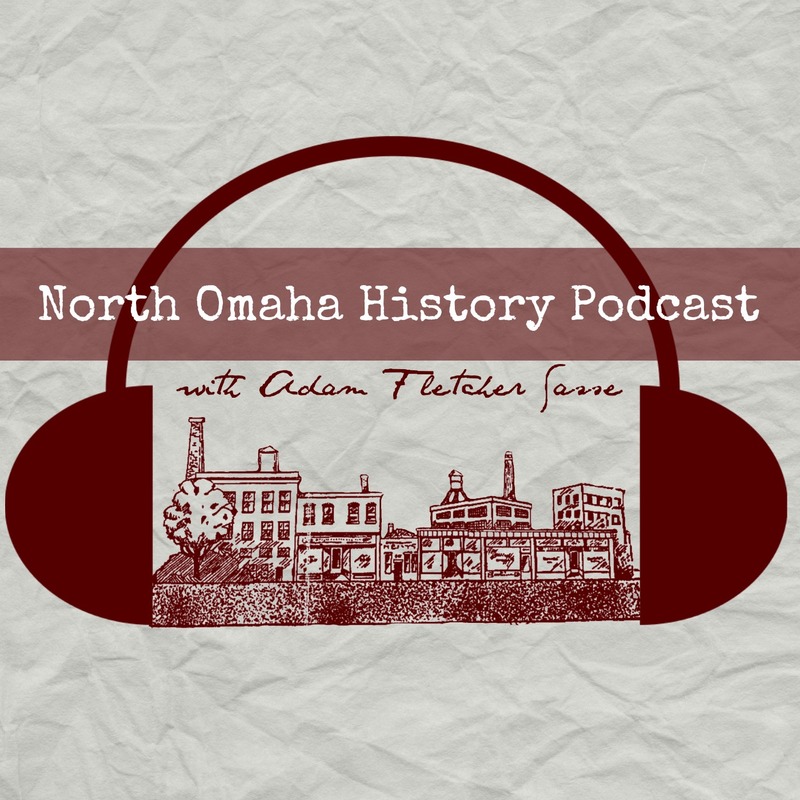 Before Omaha’s 1919 riots surrounding the lynching of Will Brown, the Near North Side neighborhood was filled with European immigrants, African Americans, Jews and American-born emigrants from the East Coast. The picture of an old-timey city scene, North 24th Street was the heart of the community packed with grocers and builders, fishmongers and butchers, cobblers and hardware stores, and much more. In 1905, Peter Frenzer got a construction permit to build a 2-story brick store and hall at North 24th and Parker Streets, and soon after the intersection became vital along the strip. Frenzer Hall set the tone for what was to come. People needed entertainment then, and as Omaha’s most successful residential neighborhood, the Near North Side needed a huge theater. The “glittering movie palace” called the Alhambra was its answer. The first ads for Omaha’s Alhambra Theater appeared in the newspapers in 1911. Constructed at 1814 North 24th Street, the Alhambra was the second-largest movie house in the city when it was finished. The theater had vaudeville performances and amateur acts for many years with a five-piece orchestra that played in support. Frank Goff (1841-1941), known as “Daddy Goff” to a generation of North Omaha children, was regarded as “Omaha’s pioneer showman. He operated the Alhambra from 1911 to 1913, and was was credited for bringing the movies to Omaha. The first moving pictures in Omaha showed at the Franklin Theater under his management, and then showed them at the Alhambra Theater before any other theater in the city. In 1916, the manager of the theater was arrested for violating orders from the city health department. Apparently, he was ordered not to let children under 12 into the theater because of a scarlet fever outbreak. No word on what happened to him. Ceclia Rocheford sold the Alhambra Theater in 1917 to Louis Margolin. Margolin also bought the lot next door, paying more than $30,000 dollars for both. After hosting special union events including rallies and fundraisers for years, in 1919 the Alhambra was picketed by union operators and supporters. Apparently, the theater operators hired nonunion staff to operate the film projector, which was a strict no-no in Omaha at the time. Police came and broke up the protest twice on the night of June 23, 1919, with almost a dozen people arrested. Probably unrelated, in late June 1919, a Creighton University student named William Giles was convicted of launching a “stench bomb” in the Alhambra. A police judge sentenced him for 30 days for placing a bottle of concentrated chemicals in the theater, which cleared it out immediately. Then, on July 7, 1919, R. A. Pramer, the proprietor of the Alhambra then, was arrested for shooting at police. According to newspaper reports, he mistook officers roaming the alley next to his business for the union picketers from the prior weeks. Firing his gun to scare them off, the officers arrested Pramer and brought him to the police department. He was released on bail. After the August 1919 rioting, the Near North Side neighborhood became deeply segregated. Where before African Americans were less-formally isolated, the US Army laid down a redline around the area and forced the Black community to stay inside that area “for their own safety.” In turn, whites who lived within those boundaries fled the area rapidly. However, while the redline area cleared out most white residents, white people still shopped in the area, the Alhambra Theater continued as a white-only entertainment venue enforced by informal Jim Crow rules of the era. Apparently, the Lem Thompson Comedy Company was a smash at the theater in the early 1920s. In 1923, the then-owner of the Alhambra, Harry A. Taylor, went to the Nebraska Supreme Court to challenge the state’s child labor law. Apparently, Taylor let seven children under 14-years-old dance for a recital. The dancers were students of Dorothy De Vere, and it was a public performance. Taylor was charged with aiding in child delinquency. Although the kids weren’t paid and had parental consent, the police department charged Taylor. He appealed the case though, but I haven’t found what happened as a consequence. However, there is a 1926 article advertising another recital at the theater, so I think Taylor might have had a successful appeal. Apparently, after he owned the Alhambra, Taylor built the popular Ritz Theater near North 24th and Patrick and operated it for its entire run. The Omaha World-Herald reported a 1924 holdup of the Alhambra ticket booth. The robbers hopped out of a car parked along North 24th, ran to the booth with guns drawn and demanded all the money. The young cashier apparently fainted, and the bandits made off with an undisclosed amount of money. In the mid-1920s, the Alhambra theater became a Black theater, meaning it allowed African Americans to attend. It showed a number of mainstream films, as well as African-American-produced movies with African American actors, directors and more. In a horrible tale from the theater, a 9-year-old African American child named Vernon Roundtree lost his middle finger and ring finger in 1927 when he stuck his hand into a ventilation fan inside the building. Omahan George Johnson, among the first African American movie directors, and his Lincoln Film Company apparently showed films here, too. The theater didn’t sustain though, and was closed around 1930. Other Black theaters continued operating in the Near North Side though, as well as some whites-only venues. The Tuchman Brothers Grocery Store showed up at N. 24th and Parker when the theater stopped appearing in local movie ads. It probably ran in the old theater building. Acting like a social hall for a few years, the theater hosted political rallies, civic clubs and other groups for a few years. The building eventually served many other purposes, including as a roller skating rink, a grocery store and a miniature golf course. In late December 1933, the International Jewish Workers order sponsored P. Novick, a Jewish journalist and author from New York, who gave a speech at the theater called “Nazi Propaganda and Anti-Semitism.” There was also a banquet and entertainment after the speech. After that, the Alhambra stood vacant for a few years in the 1930s. In February 1936, the Alhambra Theater at North 24th and Parker burned down. Owned by an unnamed savings and loan association, the losses were estimated at $5,000. North Omaha’s Alhambra Theater was located at 1814 North 24th Street from 1915 to 1936.